engaging in a strong research program. 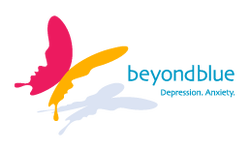 Most Australians have had some experience with anxiety, depression or a related condition, whether they've experienced it themselves or had family, friends or work colleagues go through it.beyondblue’s work is aimed at achieving an Australian community that understands depression and anxiety, empowering all Australians, at any life-stage, to seek help. 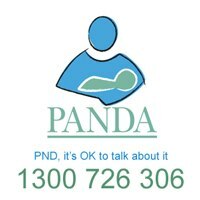 PANDA's National Perinatal Depression Helpline, funded by the Australian and Victorian Governments, provides vital support, information, referral and counselling to thousands of Australian parents and their families. Callers do not need to have a diagnosis of antenatal or postnatal depression to make contact with the Helpline, PANDA is keen to support any new parent struggling during pregnancy or after the birth of their baby, as well as their partner, family and friends. We are Australia’s leading cleaners of prams, strollers and child restraint seats. We pick-up these items from your premises, professionally and safely clean them making them sparkle again, and then drop them back to you ASAP – it’s that easy! We have cleaned thousands of prams, strollers and child restraints across Australia for our valued customers. As parents ourselves we place the health and safety of our children beyond all else. And we stand behind our reputation providing all customers with our 100% Satisfaction Guarantee and use non-toxic, eco-friendly cleaning products.